Instagram has undoubtedly become a phenomenon, and like all cultural phenomena, there will be those firmly on either side of the love/hate divide. Some think that Instagram is nothing but hipster foolishness, and others wonder if there may be some value in a service like Instagram. Either way, it is most definitely popular. It looks like Instagram for Android has passed the 10 million+ download barrier, and it only took 22 days to hit that number. That's a pretty solid growth rate. The app was quick out of the gate, hitting 1 million downloads in less than 24 hours, and 5 million downloads in less than a week. 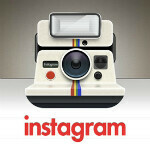 Overall, that puts the number of total Instagram users almost at 50 million, 47 million to be exact. So, the growth rate is slowing a bit, given that the service hit 40 million users a couple weeks ago. Of course, the total user numbers are not all active users, so those numbers may not be nearly as impressive as they sound. Unfortunately, there are no official numbers of active Instagram users. I downloaded it, used it for a day then erase it. Am I one of 10 mil? yes, betatester with your beta phone. Hi eaxvac lol new name? Get banned before? !